Details: Our access to technological reproduction now extends to a whole array of human prosthesis as bio imaging and 3d printing become widely accessible. In this context, we seek to distribute the elements of our data from primary musical instrument, the voice, across experimental electroacoustic tongues, computer software and 3d printed vocal tracts. 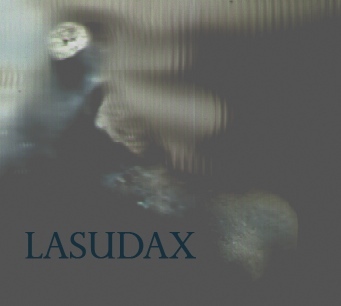 LasuDax uses two voice motets of Orlando Lassus's as source material. The performers use daxophones with software and hardware processing of the audio signal. This hybrid software/hardware approach models the functions of the mechanisms involved in the human voice. The raw daxophone signal like a laryngeal buzz is fed into a computer. A SuperCollider patch is used to implement a filter bank that isolates harmonics within the signal that are pertinent to the Lassus score. This renaissance-imbued signal is then dynamically routed to mid-range horndrivers coupled to 3d printed vocal tract models. The routing follows the text of original score shaping the signal into corresponding vowels from the score. The vocal formants are dynamically lit to provide a visual cue for the audience. This work was presented at SEAMUS 2014 at Wesleyan University and From Bone-Flute to Auto-Tune and University of California, Berkeley. Collaborators: Christopher Jette (daxophone, software & design), John Granzow (3D printing & design).